This past year was a rough one for American retailers. The competition from online channels, in particular Amazon, hit them where it hurt. By the end of 2016, Macy's had announced the closing of 68 more stores. Sears announced it was closing 140 Sears and Kmart stores. Just this week, American Apparel stepped up the process of closing its stores and laying off workers in the wake of its bankruptcy. But despite this trend, Walmart, the nation's largest retailer, is moving in the other direction. The company has announced major expansion plans, investing in present and future stores and taking initiatives that company officials say will create 34,000 new jobs. "Walmart is investing to better serve customers,” said Dan Bartlett, Walmart executive vice president for corporate affairs. Because there's a Walmart or Sam's Club store in so many American communities, the company says it can play an outsized role in supporting and creating employment, and thus boosting the U.S. economy. “Our 2017 plans to grow our business – and our support for innovation in the textile industry – will have a meaningful impact across the county,” Bartlett said. However, the expansion plans come on the heels of a Wall Street Journal report that the nation's largest retailer planned to ax 1,000 corporate jobs before the start of the fiscal year. At the time, executives said the move was being made to make the company operate more efficiently. In the upcoming fiscal year, Walmart said it plans to invest $6.8 billion in capital investments, which will largely go to building and remodeling stores. Of the 34,000 new jobs, Walmart says 10,000 will be added to the company payroll as it opens or expands 59 stores. The rest, an estimated 24,000, will be construction jobs that will help implement the capital expansion plan. New and current Walmart employees will also get new training opportunities. 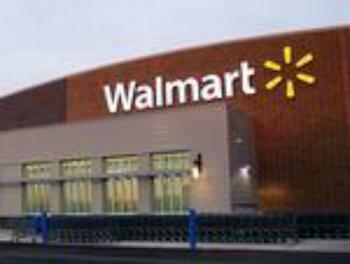 My mid-year, Walmart said it plans to have opened 160 new training facilities around the U.S, quadrupling the present number. Nearly a quarter of a million Walmart employees will undergo up to six weeks of training during the year. With a new administration taking office with a sharp focus on increasing American manufacturing opportunities, Walmart has also announced plans to purchase an additional $250 billion in American-sourced products through 2023, which it says will create additional jobs. Currently, much of Walmart's inventory is produced in China, which could get a bit more pricey, depending on the new administration's trade policies.